After undergoing a decades-long civil war, Cambodia is now in a stage of economic recovery. 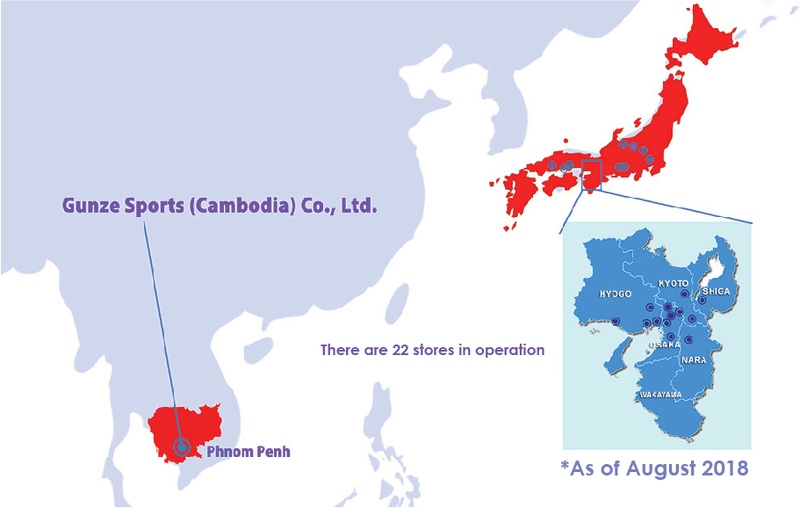 As an emerging nation in a rapidly-growing region, Cambodia continuously receives attention from investors looking to boost the country’s development. As an investor, GUNZE SPORTS (CAMBODIA) CO., LTD., not only aims to help achieve this goal, but also looks to aid the public in maintaining their physical and mental health. Cambodia reminds me of Japan’s fast-growing periods, a time when living standards, healthcare and beauty care were constantly improving. There is also unlimited potential for further growth, thanks to the Kingdom’s relatively young population. GUNZE SPORTS CORPORATION was founded in 1984 under GUNZE CORPORATION, established in 1896 with a mission to “Enrich Your Life”. 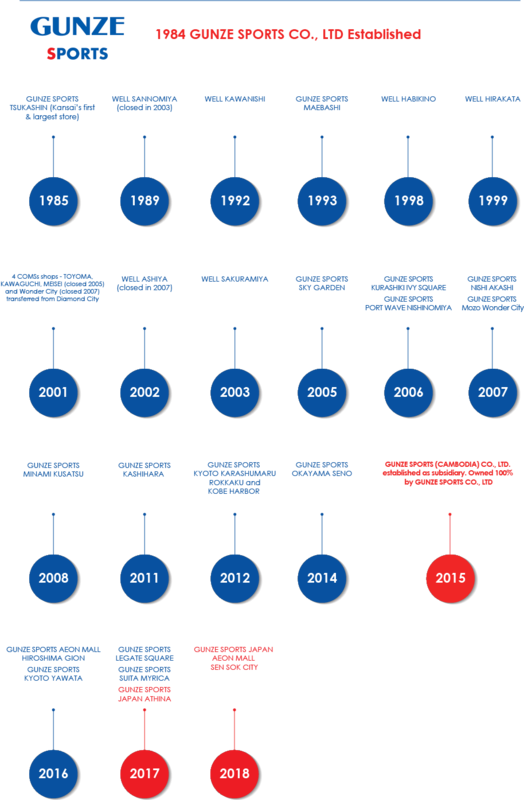 Today, GUNZE SPORTS CORPORATION is among the Group’s many companies to achieve successful growth. Besides offering gym and sport club services in Japan, we also provide guidance at public facilities through our experienced, expert instructors. Cambodia is the first overseas country GUNZE SPORTS has a presence in. 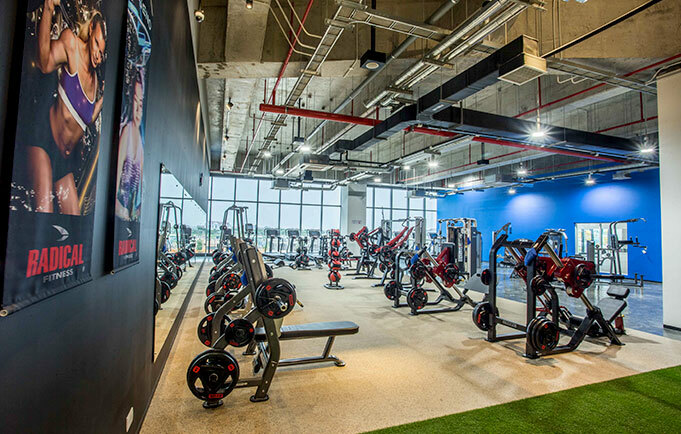 This was achieved in March 2015 via GUNZE SPORTS (CAMBODIA) CO., LTD.
We utilize our extensive experience to not only enhance sports facilities in Cambodia, but to also transform our company into a leading fitness brand that provides quality services and programs. In addition to retail shop operations, we plan to expand our fitness services by providing guidance at public facilities as well as dispatching our instructors to educational institutions. 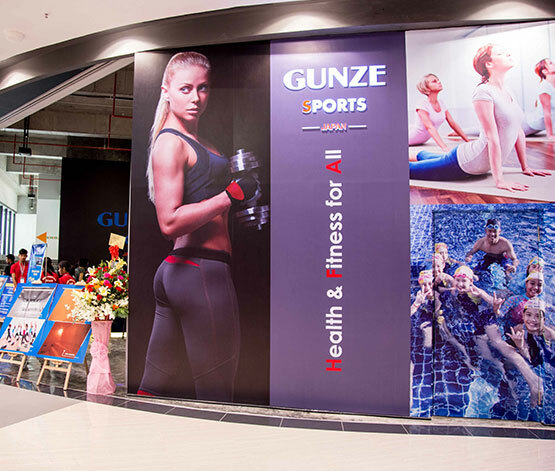 GUNZE SPORTS (CAMBODIA) will be right here, helping people become fitter, healthier, and eventually, enriching lives by providing health and fitness to all. 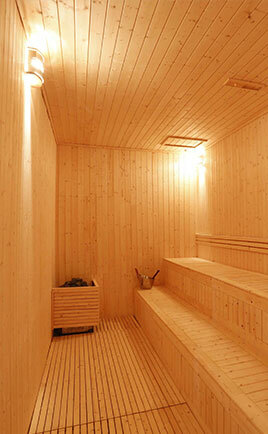 We look forward to making your tomorrow more comfortable. 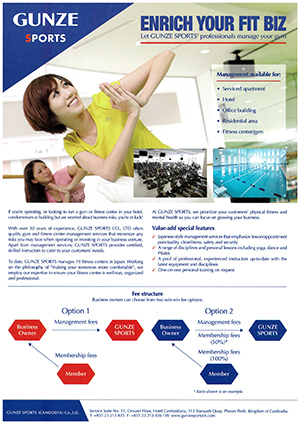 GUNZE SPORTS (CAMBODIA) CO., LTD.
Gunze Group’s philosophy is based on sincerity, affection and modesty. We aim to contribute to society via our business activities and make good on our principle of “making your tomorrow more comfortable”. 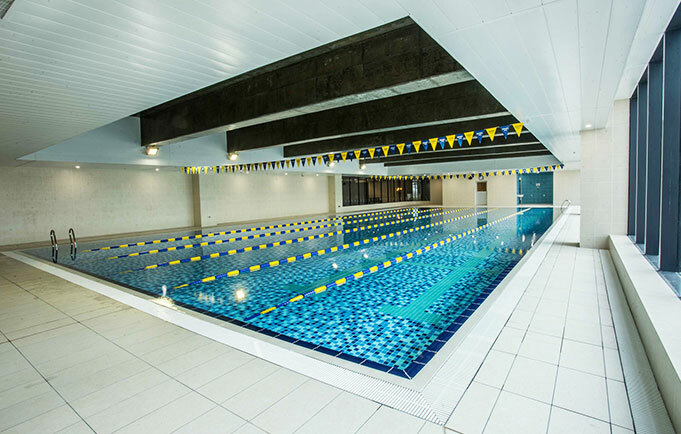 Company name : GUNZE SPORTS (CAMBODIA) CO., LTD.
Gunze Sports (Cambodia) operates and manages all facilities independently. Gunze Sports (Cambodia) dispatches our expert, experienced fitness leaders and instructors to organizations or institutions that require their services. Our instructors also provide services in schools and educational institutions. Our staff attends health and fitness-related seminars to keep them updated. Khan Sen Sok, Phnom Penh, Kingdom of Cambodia. Kh Chbar Ampov, Phnom Penh, Kingdom of Cambodia.